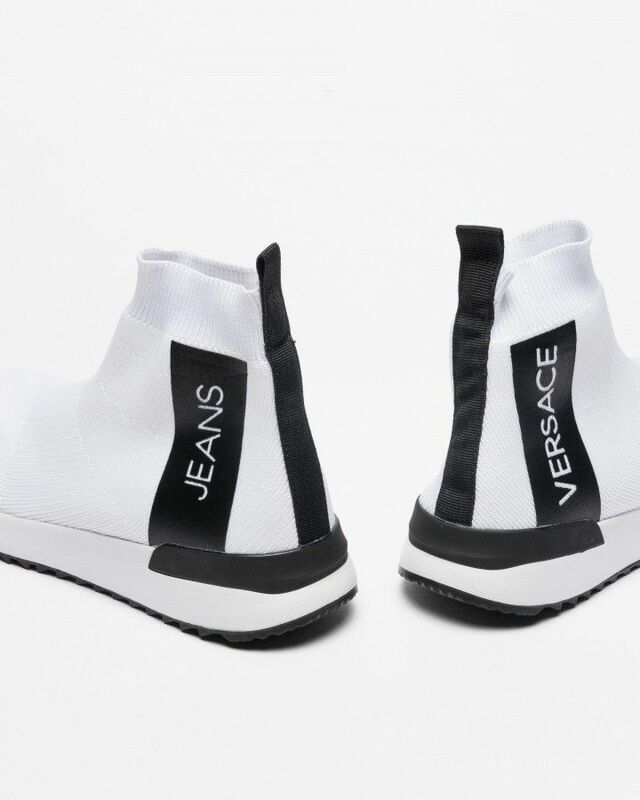 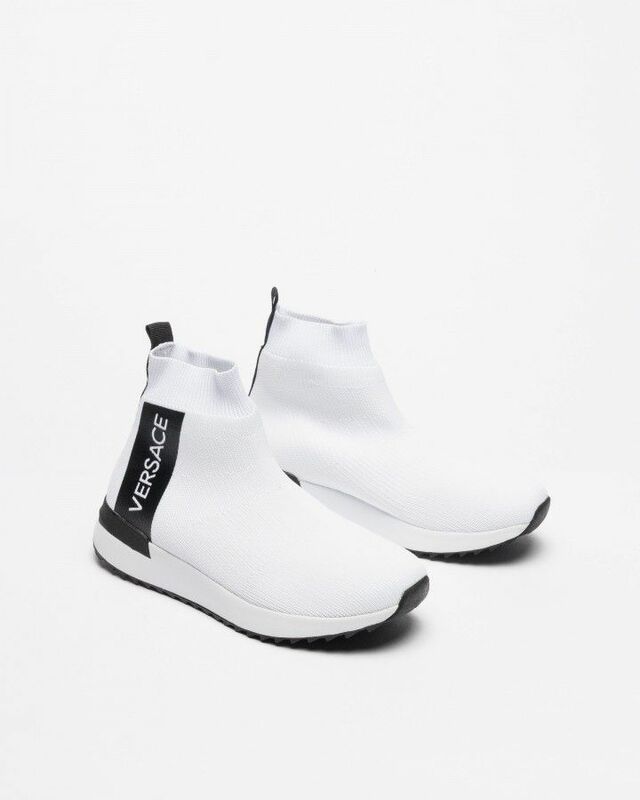 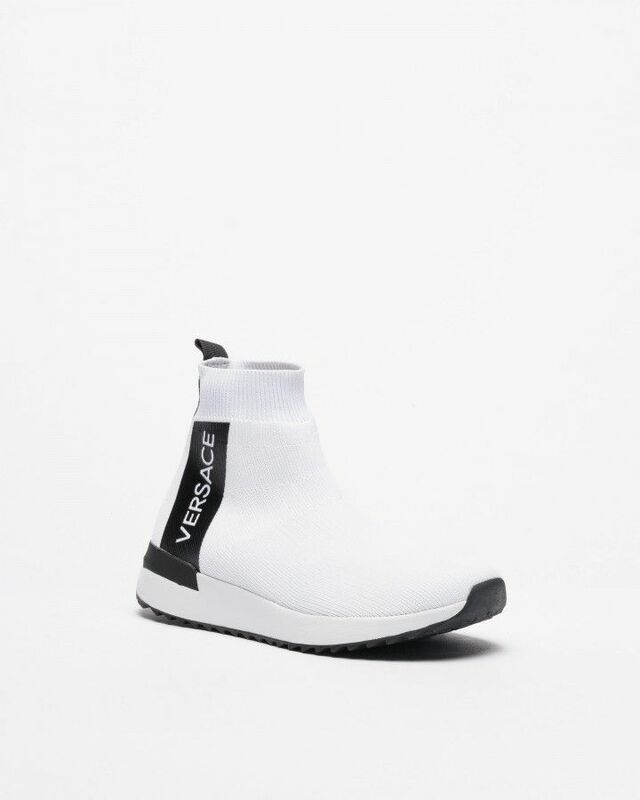 Versace Jeans slip on sock sneakers for women in white elastic fabric with brand logo detail at the side. 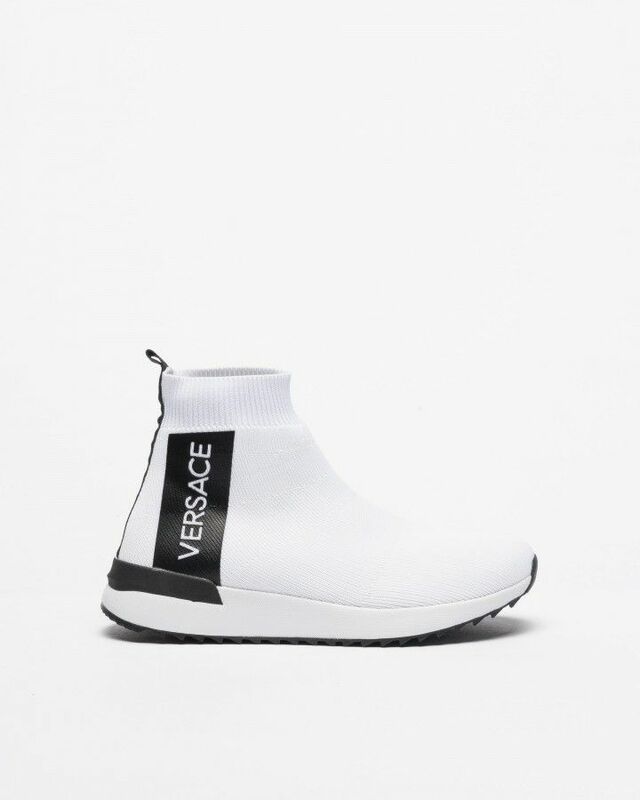 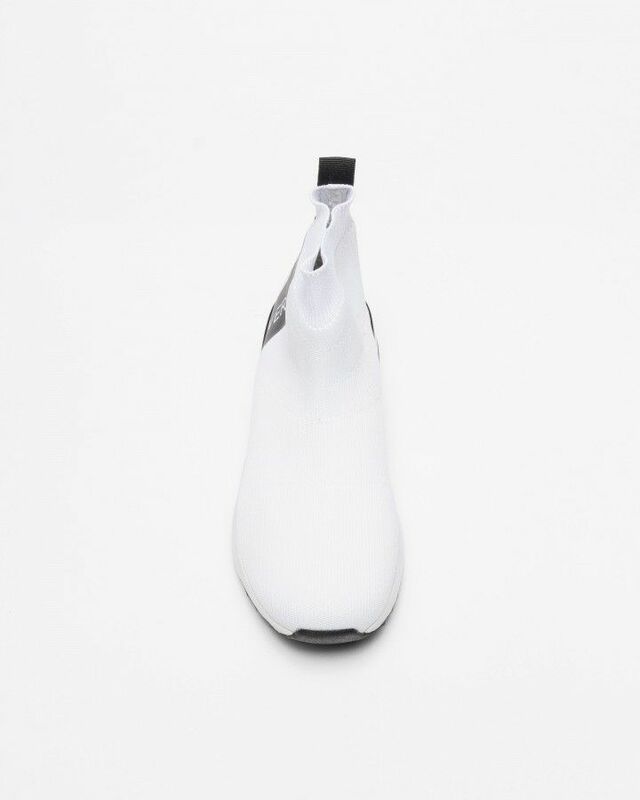 Synthetic leather insole and fabric lining. 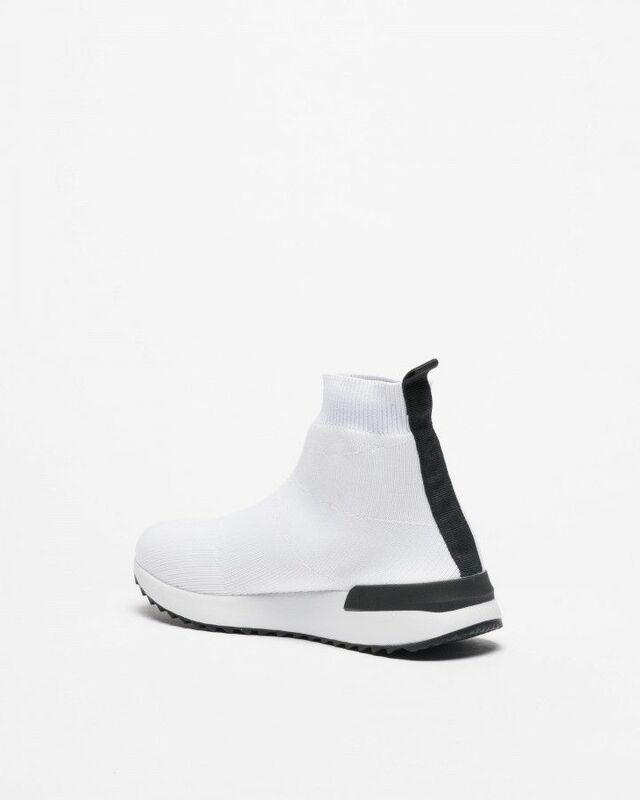 3 by 2 cm rubber outsole.